I was born in Hyannis, Massachusetts, but was raised in the Orlando Central Florida area. In 1996, I attended the University of Central Florida where I received a degree in Biology. While choosing to stay in Florida, I attended Barry University School of Podiatric Medicine in Miami where I received my doctorate degree in 2000. 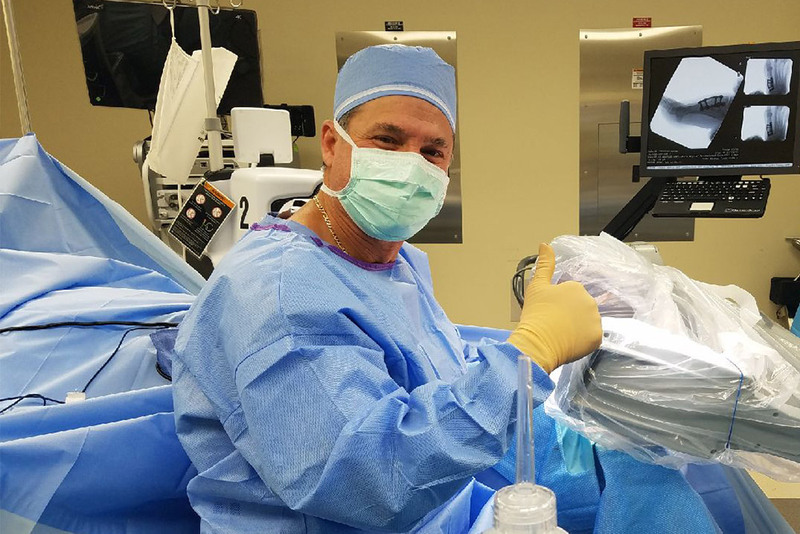 After completing a three year surgical residency at Florida Hospital in Orlando, I opened my own medical office in Melbourne. I am board certified by the American Board of Podiatric Surgery and a Fellow of the American College of Foot and Ankle Surgeons. In my spare time, I enjoy spending time with my wife and son. You can feel confident that my extensive training will give you nothing but the best that you deserve. I was born and raised in Alabama. I am currently a nurse with a Master's of Science Degree in Healthcare Administration. I am also a Licensed Real Estate Broker. Our Real Estate company, "Hope and Company Realty", is also a family owned and operated business. Dr. MacKenney and I have a handsome little boy who brightens our life every day. I am blessed to be able to work together as a family while enjoying our "Little Man". My goal as the Office Manager is to assure that you feel as part of our family. After my Grandson was born, my Husband and I decided to move from Alabama to Florida. While in Alabama, I worked as a Charge Nurse for many years but easily gave that up to be closer to my precious Grandson. I now work with my Daughter and Son-in-Law and feel grateful to be a part of the team. I am currently unemployed. I stay with my PaPa while my Daddy, Mommy, and Nana work at the office. Occasionally, I will come into the office to see patients when my Daddy needs my help. With my extensive training, I can assure you that you will leave our office with a smile.